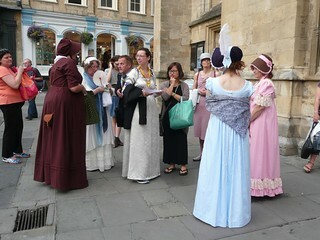 For years I have wanted to go to the Jane Austen Bath Festival, and this year I finally got my wish. I coerced three of my friends to go with me and we had a fantastic time. There were amazing costumes all weekend. It was super cool seeing them all wandering through town.